Rumors has it that Nokia 9 PureView is expected to have 5 back cameras all with the sensor and flash modules. This phone will be a high end device. Since it is 2019 most manufacturers will release phones which have more than three cameras. 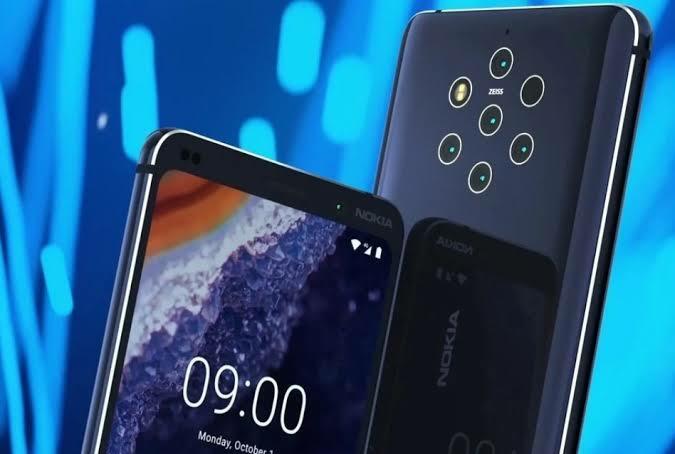 Nokia decided to reveal a new phone which is expected to have at least five cameras. This was released in a promotional video. Thanks to this promo video now the public is aware of this new phone. Lovers of Nokia phones have been eagerly anticipating a new phone either in January or February. That promo revealed some of it details about the new phone. This leaked video showed us that Nokia 9 PureView will have 5 cameras. You could clearly see them in the video. This was the outstanding feature in that video. Nokia 9 PureView will have several cameras at the back. It will also have one front facing camera. HMD Global has promised fans that this phone will be able to take 5 images at once. Imagine having a phone that could do that. When this phone takes 5 images at once the pictures can then be combined to form on big picture. This phone will also have a penta lens setup which is really helpful in low light photography. This basically means you will be able to take awesome pics even in the dark. HMD Global has been reported saying that this phone can take 10 times more light than the ordinary camera sensor on a regular phone. When it comes to smartphones how good you camera is distinguishes a great phone from a bad phone. Smartphone manufacturers are always competing on who has the best camera. Recently Apple decided that their devices will have two back cameras. Some manufacturers such as Huawei and Samsung have launched phones which have more than three cameras. It's really hard to add any new feature. Most phones have the same features and there is nothing to differentiate the phones. Thus most manufacturers are focusing on their cameras. Nokia 9 PureView has a large display screen and a 2K screen resolution. HMD Global isn't solely really on the camera to attract buyers. This phone has an impressive hardware. This phone comes with Qualcomm Snapdragon 845 chip. This processor can also be found on Samsung Galaxy Note 9 and in OnePlus 6T. This phone will have 6GB of RAM and it will have 128GB as its internal storage. This RAM and ROM is enough and will deliver a smooth, fast operation. Your phone will not lag with such a processor. The screen on this phone will be 5.99 inches with a 2K picture resolution. The leaked video also revealed that this phone will have an in display fingerprint sensor. This will help in quickly unlocking your phone. It is expected that this new phone will have Android 9.0 Pie. This device promises to be a game changer. With its nice features and awesome cameras, it will surely attract a lot of interest from different people.